Teaching your dog to respect thresholds will give you the freedom to live life without worrying about Fido’s naughty behavior. Giving your dog a visible or invisible boundary will empower you to lead in a most effective way. This is what I mean…Imagine you just got home from the store and you open the door in preparation to unload you car when your dog jets out the door and down the block. Now you have to put your task on hold to go chasing after your dog. Do you call that respect? How about a dog that goes counter surfing while you’re trying to cook in the kitchen. 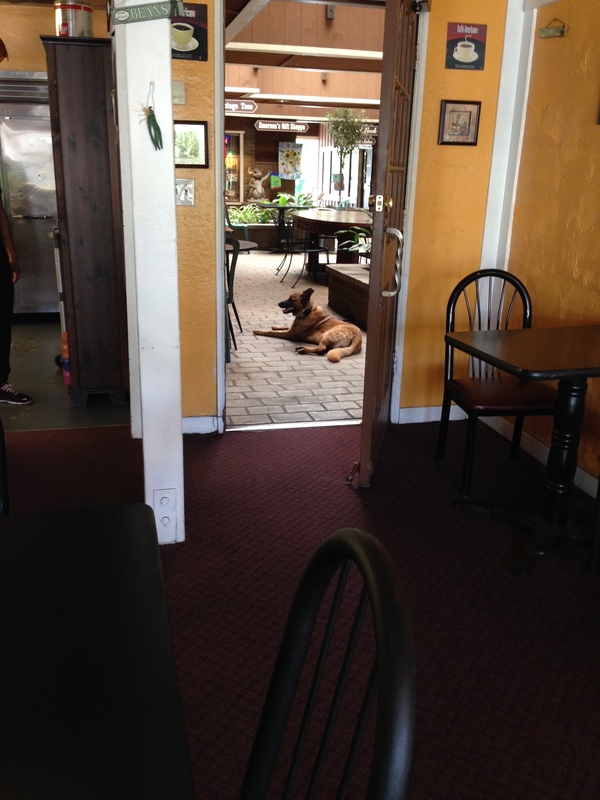 Now imagine this…You are unloading the groceries and your dog just sits at the doorway or waits outside the kitchen while you prepare dinner. Isn’t that a better image? How good would it feel to have a respectful dog that waits for your ok? It takes some work but the outcome is more than worth the time and effort that you put in. You don’t have to put up with a dog running out of the gate when you take out the trash if you simply teach him that this is a line you may not cross.